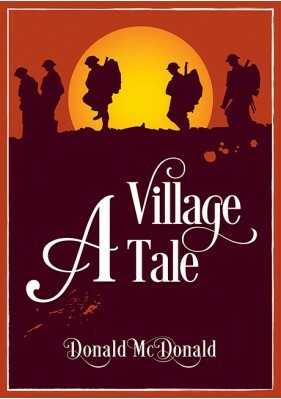 This novel is a portrait of rural life and how that way of life, which had existed for centuries in England, was eclipsed by The Great War. The announcement of hostilities in August 1914 was greeted with patriotic fervour, later Kitchener sought to boost the military with the creation of ‘Pals Battalions’ and Lincolnshire was no exception with the 7th, 8th and 10th Lincolns. No one could imagine the horror that awaited in France not only for the troops but also Nursing Auxiliaries drawn from every social station – all keen to serve King and Country. Donald McDonald has been writing and telling stories all his life; his imagination being fired by Saturday morning cinema in Worthing and his first hero Black Bob in The Dandy during the fifties. After the Suez crisis the family moved to Malta where he attended the Royal Naval School, Verdala. Donald became a schoolmaster after graduating from Birmingham University School of Education though he has had a variety of jobs including advertising copywriter, assistant cinema manager and scaffolder’s mate. While his novels Ignatius-Tagg and its sequel Sunshine for the Righteous were published by The Daily Mail as one, titled Ignatius Tagg – Dark Horse and critically acclaimed by Amazon book reviewers his American novel – 9/12 Another Day – was published by Harper Collins (New York) on their authonomy site. He has a canon of work including screenplays, stage and radio plays and having written the definitive sequel to the original The Italian Job film, he hopes Columbia Pictures will consider it. A Village Tale is Donald’s third novel published by Brewin Books; his previous two The Bridge and For The Glory of Stevenson also garnered five star reviews on Amazon. He is currently penning Someone, a story set in New York during the fifties. His passion for film, sport, books and art remains intact and he has travelled extensively in Europe and America; no trip to New York is complete without a visit to Madison Square Garden (and he still believes Stanley Ketchel was, pound for pound, the greatest fighter). He now lives in Lincolnshire and supports Birmingham City FC and Widnes RLFC.